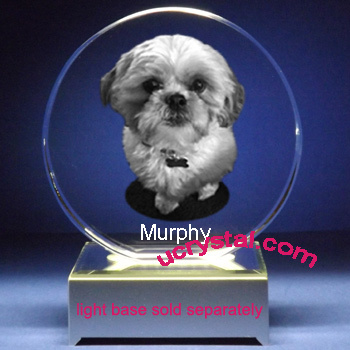 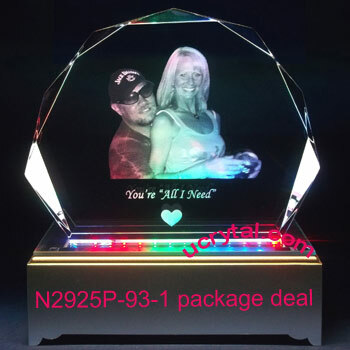 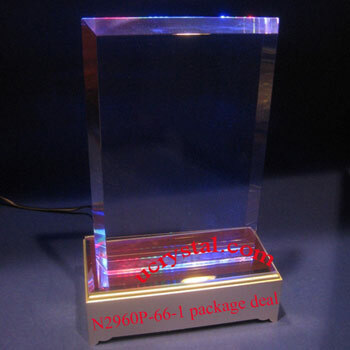 Extra large, rectangular photo crystal, bevel edge without firmly attached crystal base. 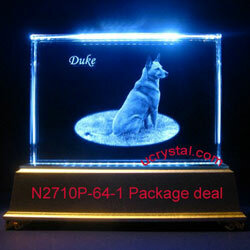 Plus light base with 12 multi-color LED. 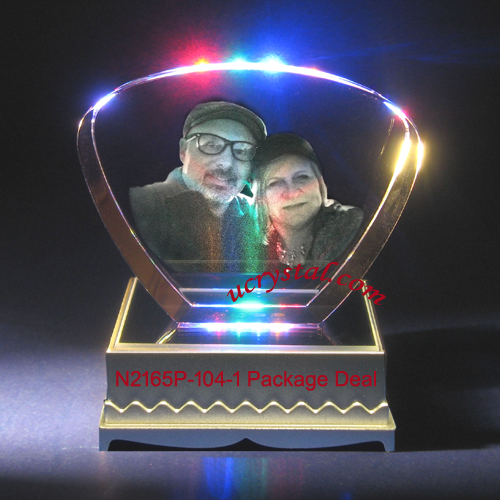 This package deal make a unique corporate employee appreciation gift. 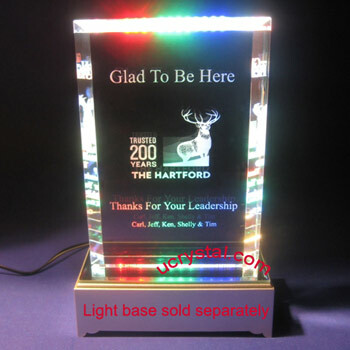 Extra large, rectangular, bevel edge without base plus light tbase with 12 multi-color LED, model no. 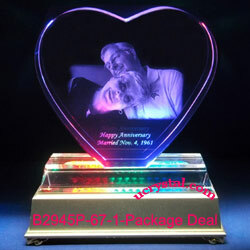 LB12M-63-1. 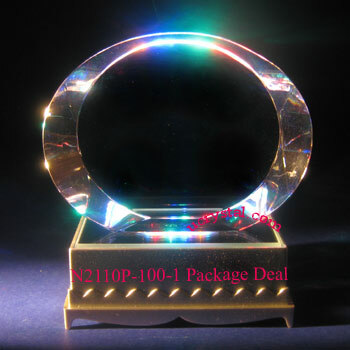 Crystal size: 4-3/4" width x 6-1/2" height x 3/4" thickness.